When you hear the phrase “survival game,” your brain probably immediately jumps to zombies. That’s certainly been the prevailing trend in the industry for years, with shambling hordes of one description or another filling all of the major horror titles. Pathologic is a game that strays from this weary trope, but that’s just one of the many things it’s doing to make itself notable. 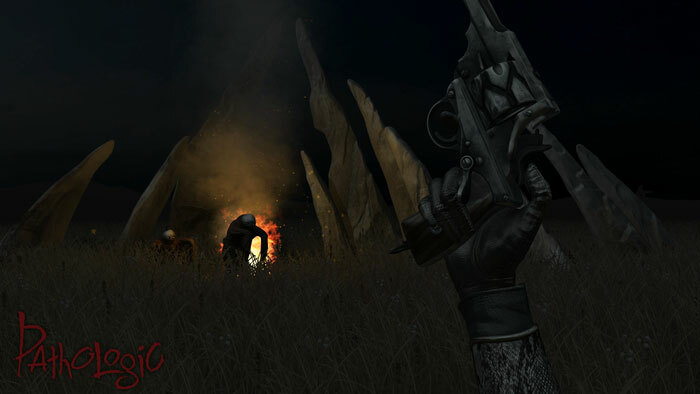 Pathologic is a survival game from Ice-Pick Lodge, a Russian developer. The game was initially released in 2005, earning positive reviews in Russia but ultimately being crippled by a poor translation and several other flaws. Ice-Pick Lodge was never happy with the results and is now running a Kickstarter to correct these problems, paying for superior translation services, streamlining the content and updating the game to have a much higher degree of polish and longevity. Their intention is to retain everything that was good about the game while banishing its more regrettable parts, a goal that is bound to create an excellent title if they’re successful. 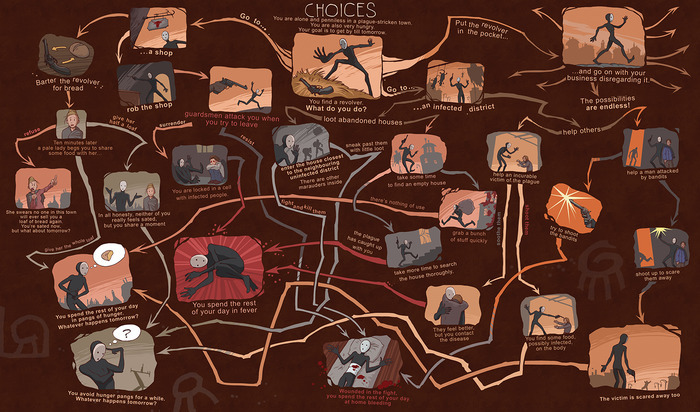 The story of Pathologic takes place in a town devastated by a mysterious plague. It relies heavily on ambiance, developing a spooky and atmospheric setting that functions as a character in its own right. You the player take charge of one of three heroes, all of them doctors, each with different backstories. You have 12 days to save as many people as you can and uncover the secrets of this world and its disease before you too succumb to the plague. You must race against the clock to unearth the secrets while tending to your own survival, gathering materials and bartering for what you can. Each decision you make affects the storyline, allowing for maximum replayability: Though each campaign will take around 72 hours to complete, there’s quite a bit more material to explore.